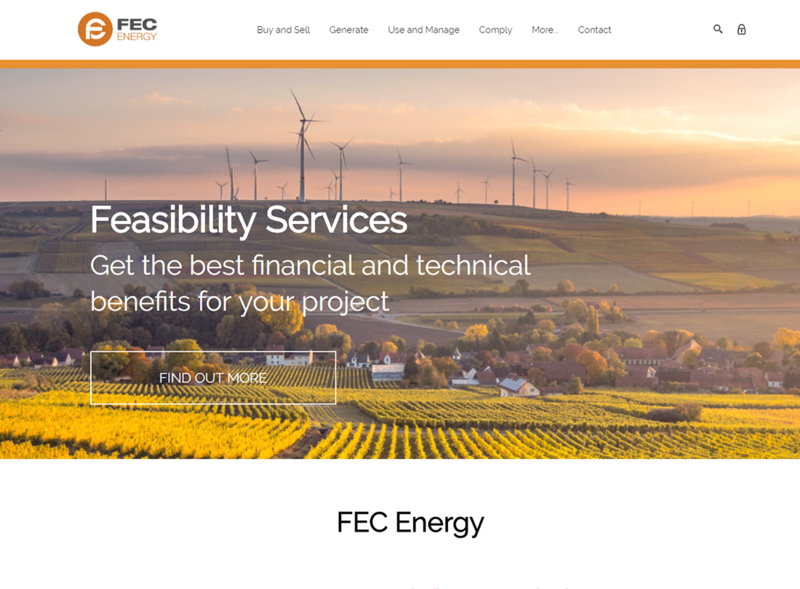 FEC Energy are one of the UK’s leading energy consultancies. They work with farming and commercial businesses, government departments, industry organisations, utility companies and manufacturers. We have worked with them for a number of years and on this latest website we aimed to prioritise the services they offer, allowing customers to easily find what they need. This was achieved through a new consistent service layout and a mega menu that broke the services into helpful categories and gave a concise description for each service within the menu. The website was built with Drupal and involved consolidating three separate websites that had been operating under different company names. They were formerly known as Farm Energy Centre and we were asked to redesign the site to fit with their new branding. We worked from an existing template, referencing existing elements that could be customised to fit the new branding, moving the site’s appearance forward without the need to redesign a new site from scratch.